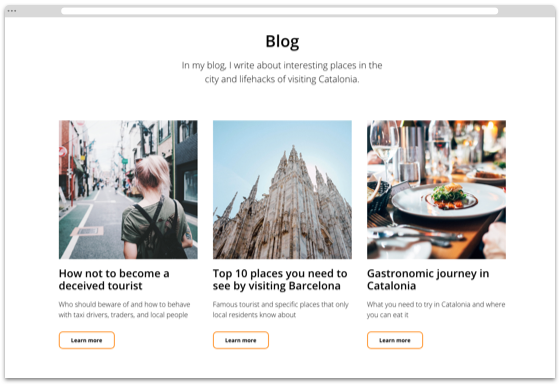 By creating a blog in Tilda, you are expanding the possibilities of your content. 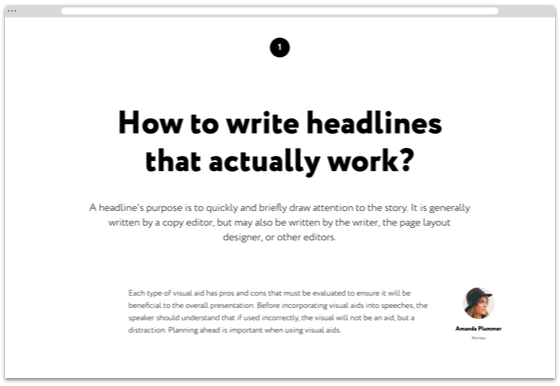 Tell stories that will look like articles in glossy mags – without a designer or a programmer. Quotes, key phrases, big headlines... Showcase your story in a way everyone will want to read it. Discover your own style with one of our blocks. 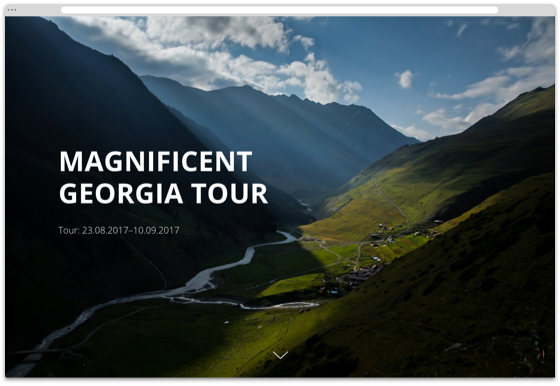 Full-screen image galleries, covers, video backgrounds and images with captions – we have all the tools to help you present your content in a memorable way. Why not use a popular marketing tool to increase your customer base? 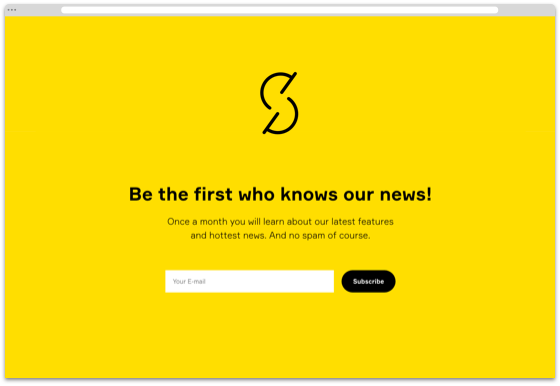 Invite readers to subscribe to your mailing list using a form on the homepage or a special popup message. 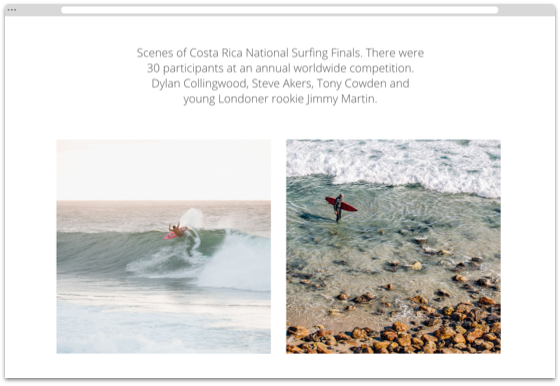 Whatever your website – a detailed longread or a brief note, a photo essay or an educational article – any type of content will have authority and look stunning when you use one of Tilda's templates. In fact, there are several dozen of them to help you make your design dreams a reality. 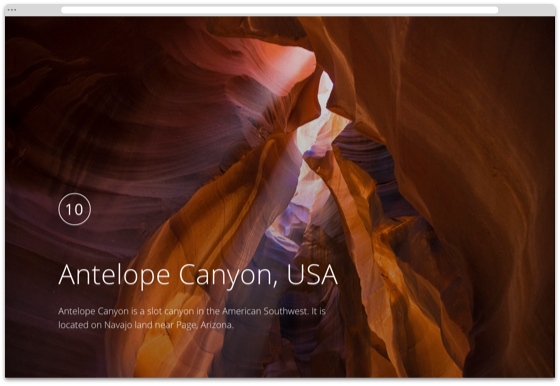 Make your homepage stand out. Position links in a grid or a list. 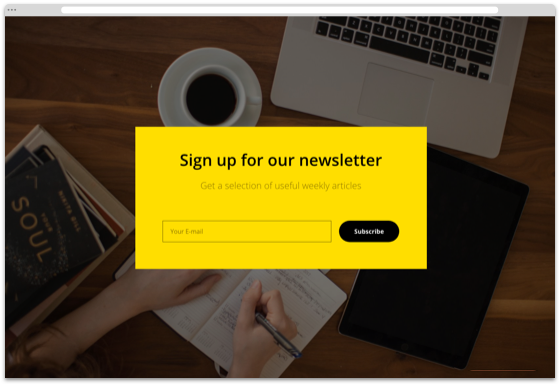 Use marketing tools: invite readers to sign up for your newsletter via a form or a popup message. Share articles on social media. Creating high quality posts is easy. Design posts by choosing from over 450 ready-made blocks. Simply add or change content. To turn a page into a blog post, you do not need to study web design, web editing or HTML layouts. All you need is unique content. 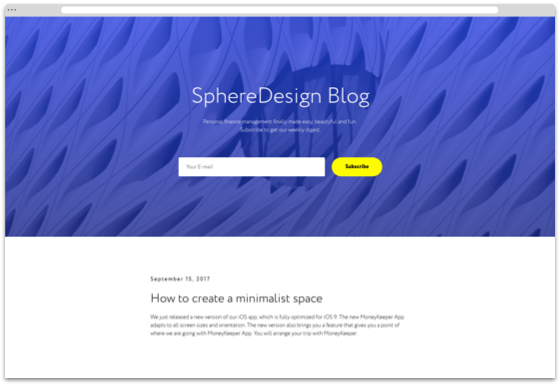 Zero Block allows you to design each element of your website and offers convenient tools for creating custom designs. Shapes, layers, opacity – let your imagination run free. There is no need to adjust your blog's settings for mobile devices. Responsive web design is embedded in Tilda blocks. Your blog will become your marketing platform. Connect the domain to your project – allow us to continue hosting your domain, export it to another server or use API to integrate it with your website. Tilda has all the tools for optimising your website for search engines. Meta tags, robots.txt files and sitemaps, <h1> header and alt texts for images – you don't have to be a specialist to improve your site's rankings. Create a blog from $10 per month. Add analytics and third-party services such as comments, social media posts, CRM tools and much more. Expand your blog's capabilities by adding services integrated with Tilda. Collect feedback, connect a CRM system, distribute newsletters. A great, easy-to-use tool that we used (finally!) to discover new content formats. Now our editors can spend even less time thinking about technial issues and focus more on creativity. Tilda is a very convenient and agile storytelling tool. It saves you time you'd otherwise spend on production, allowing you to focus on the story instead. It's a really nice tool created for improving efficiency. Using Tilda Publishing is similar to finding yourself in a Duty Free shop with your father's credit card. Tilda changes the modern concept of design. Creating a website, I feel the freedom to narrate. I only think about the content, not the tools. Anyone who wants to take content marketing to another level, should give Tilda a go. Do it at least once, and you will forget about spending two weeks on a decent landing page and working with a designer, a layout guy and a test engineer. Using Tilda is incredibly cool.